LONDON — Scientists in the United Kingdom were granted approval this week to genetically modify human embryos in studying what causes miscarriages during pregnancy. 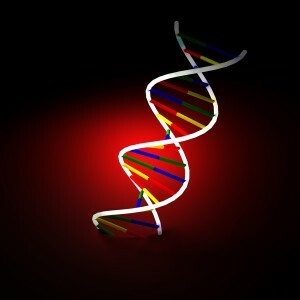 The Human Fertilization and Embryology Authority (HFEA) gave the green light to the technique known as Crispr-Cas9 on Monday, but added the condition that researchers first also obtain approval from an ethics panel, which could take place as early as next month. The IVF embryos used in research would be those who had been fertilized within the past seven days, and would be used to study their DNA and the effects of various genes on early development. They would subsequently be destroyed as current law does not allow implantation of genetically-modified embryos. Some have applauded the development, which they state could make strides in achieving greater success in IVF implantation. “This project, by increasing our understanding of how the early human embryo develops and grows, will add to the basic scientific knowledge needed for devising strategies to assist infertile couples and reduce the anguish of miscarriage,” Bruce Whitelaw, professor of animal biotechnology at the University of Edinburgh, told The Independent. “More broadly, this approval is another example of the lead position UK scientists are taking in evaluating the exciting new genome editing technology, which ranges from advances in human reproduction, to controlling the spread of insect-borne diseases, to precision breeding in plant and livestock agriculture,” he said. But others have expressed concerns surrounding the moral implications of the research, including the Christian Medical Fellowship in London. He further outlined in an article on the fellowship’s website that it is not genes that are responsible for miscarriages, but rather chromosomes.